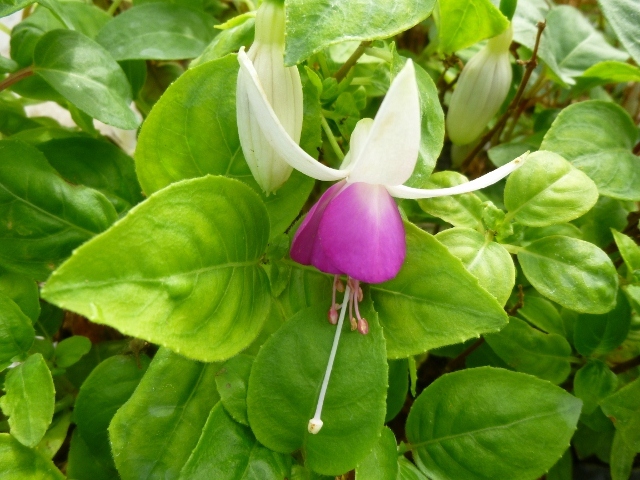 Fuchsia 'Marin Glow' produces beautiful purple and white flowers perfectly set off by its lime green foliage. Marin Glow is a bush fuchsia. © 2018 Mr Nurseries. All rights reserved.